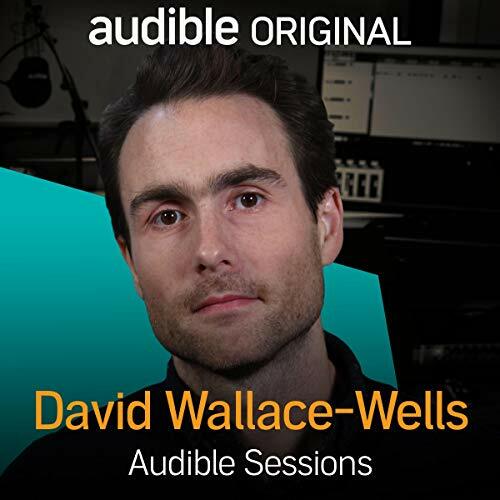 Joining us at Audible Studios is David Wallace-Wells, deputy editor of New York magazine and now climate change writer with his book The Uninhabitable Earth. The book is based on a much viewed article David wrote of the same name which goes through the possible worst-case scenarios on our earth due to global warming, such as economic collapse, famine and overheating. In this interview, we talk about the discussion that ensued after the release of his initial article, whether he thinks fear is a good motivator and why he believes that the solutions to climate change have to be political. He also tells us what he hopes the book will achieve. Listen to The Uninhabitable Earth: A Story of the Future here. After 5 minutes I couldn't bear listening to this important subject due to poor public speaking skills of the author. The author rushes his replies in a monotone and then raises his voice at the end of each sentence in a lilting tone. Completely distracting. The narrator is British or at least not American which I have no objections to but why is this so common now in American media? The dichotomy of the American author mumbling and the narrator's precise speech is jarring. I look forward to reading the book!